Con’ Olio is Austin’s first locally owned Olive Oil and Balsamic Vinegar retail store and tasting bar. 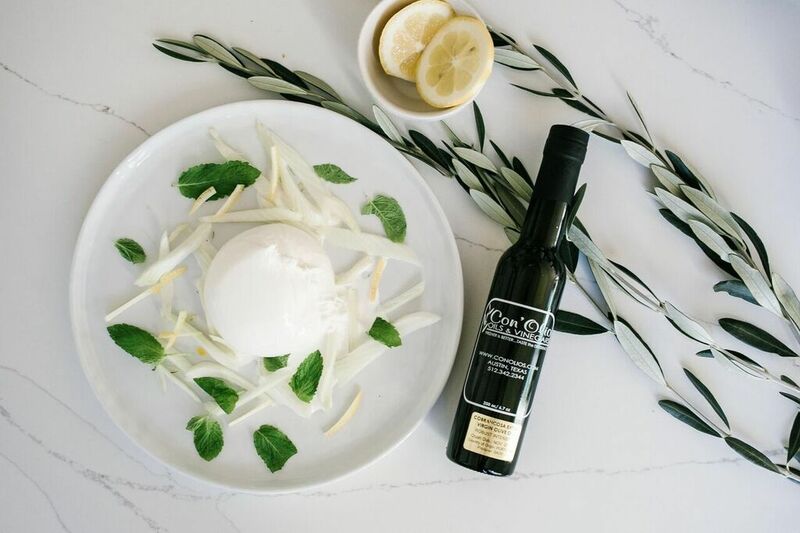 Importing the largest and freshest extra virgin olive oils and balsamic vinegars from both the northern and southern hemispheres, all of the Con’ Olio’s extra virgin olive oils are chemically tested and sensory evaluated to ensure authenticity. In addition, the oils and vinegars have no additives, no chemicals and no preservatives. Shoppers can sample a wide variety of flavored oils and vinegars straight from the taps of stainless steel Fusti containers, not to mention attend a variety of informational classes and unique events at three stores conveniently located in the heart of Austin’s vibrant downtown shopping district, in North Austin at the Arboretum Shopping Center and in Bee Cave at The Shops at the Galleria.